Welcome To Zhangjiajie City, China. 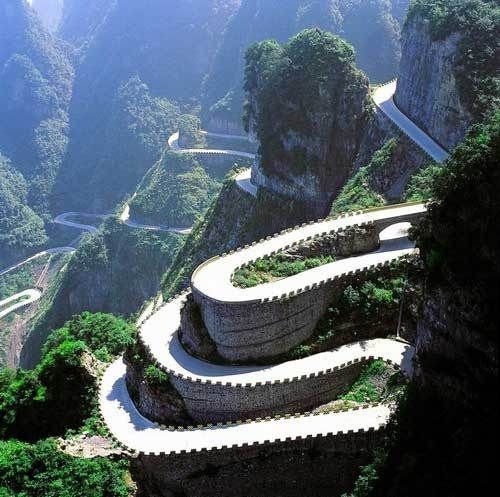 About 8KM from downtown of Zhangjiajie lies the Tianmen Mountain, also known as Heaven Gate Mountain. 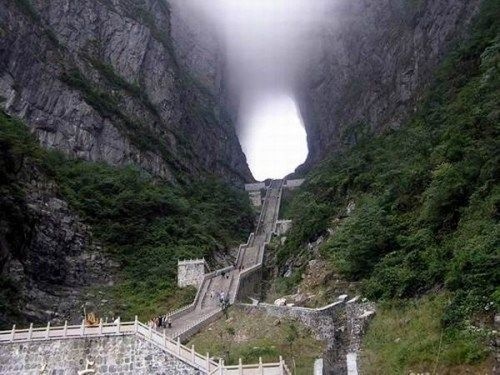 By looking at the picture above, theres no need to understand why this is named Heaven’s Gate. This beautiful site is quite a journey to get to. 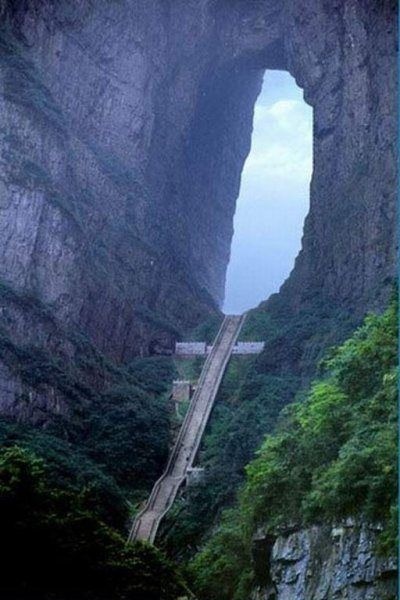 It’s about a 7 mile hike/climb to get to Heaven’s Gate but if you make the journey, then you end up to what the Chinese say is the Closest Earth Landmark To God. 7 Miles sound too long for you? 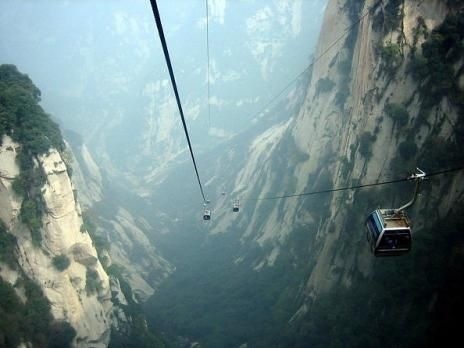 Well for those of you who aren’t afraid of heights, they have a cable car that is considered the longest cable ride in the world! A distance of 7455m and as heights as high as 1279m… DAMN! But as soon as you get to the top you still have to climb up the steps to get to “Heaven’s Gate.” Also on the top is a 500 year old Temple for those who are looking for spiritual guidance or just a prayer.